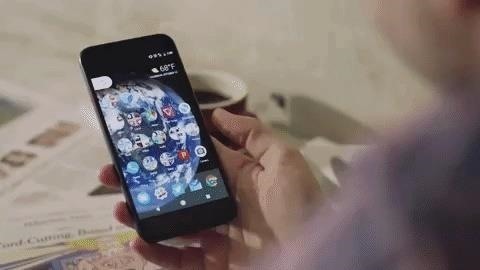 Google's got quite a few tricks up its sleeve with their Pixel and Pixel XL flagships, including functionality we've never seen before on Android. One awesome feature is called "App Shortcuts," and the basic premise is strikingly similar to Apple's 3D Touch—just long-press an app icon, then you'll get a pop-up that lets you perform quick actions. The feature is included as a part of the Pixel Launcher, and there's quite a few good uses for it already. You can skip the middle man and just long-press the Google Play Music icon to start a playlist, or you can get navigation directions to your house using the same gesture on the Google Maps icon. Right now, App Shortcuts are mostly limited to Google's own services, so it's a lot like the early stages of Apple's 3D Touch rollout. But like the iPhone, we should expect to see more third-party apps add shortcuts in the coming months, and Google's already confirmed that LinkedIn and EverNote shortcuts are coming soon. Luckily for Android users, phone's don't need a special pressure sensitive display like the iPhone does for 3D Touch, so they can be used on any phone running 7.1. 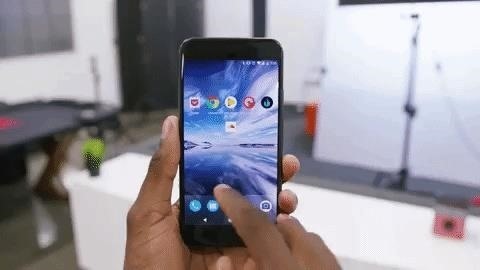 App Shortcuts takes advantage of a new API in Android 7.1, so we should see this feature on other devices and launchers at some point in the future (it's already included in Action Launcher, for one). There are some downsides with the new setup, though. Since there aren't many supported apps just yet, you can't really tell when an icon you're long-pressing has the quick actions embedded, and that really takes away from the experience. The feature mucks up Android's long-press gesture, too, which is usually used for moving apps around. Say you're trying to move an icon out of your app drawer and onto the home screen. Even in the drawer, long-pressing triggers App Shortcuts, so you have to ignore the pop-up, keep your finger held down on the icon, then drag it around a bit before the launcher recognizes that you're trying to grab an icon rather than triggering App Shortcuts. There's a bit of overlap with Android's existing widgets system as well. A lot of these App Shortcut actions are really just links to 1x1 home screen widgets, like Play Music's "I'm Feeling Lucky" button, or the navigation shortcut for Maps. Some widgets even have more functionality than the App Shortcut for the same app. This might be a bit confusing for novice users, so it's something that Google will have to iron out going forward. But like Apple's 3D Touch system, we expect these kinks to be ironed out with a few updates, and more third-party app support. Once Android's new App Shortcuts reach a similar level of maturity, I'm sure we'll be wondering how we ever lived without the feature. 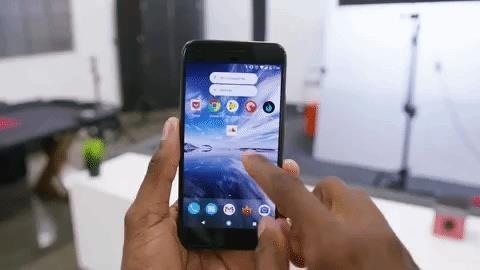 Check out Marques Brownlee's full Pixel unboxing video for more on the phone's best features.